As both a late Romantic and a modern, W.B. Yeats has proved to be perhaps the most influential poet of the early twentieth-century. In this original study Steven Matthews traces, through close readings of significant poems, the flow of Yeatsian influence across time and cultural space. 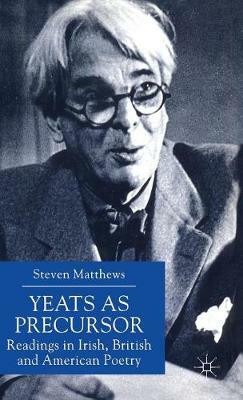 By engaging with the formalist criticism of Harold Bloom and Paul de Man in their dialogues with Jacques Derrida, he also considers Yeats's significance as the founding presence within the major poetry criticism of the century.